You didn’t really think I was going to forget about Sandy Banks, did you? CicLAvia may have pushed her recent one-sided column about the Wilbur Avenue road diet to the back burner. But far from out of mind. There it was on Saturday morning, on the second page of the L.A. Times — the same paper that recently flaunted their new journalistic standards by replacing their front page with an ad for Law & Order Los Angeles. And don’t get me started on the entirely inappropriate photo that accompanied Banks column. Maybe all the paper’s photographers had the weekend off. Or maybe they were stuck in Valley traffic and couldn’t make it back in time to meet the paper’s new early press deadline. Still, I expected better from her. Her column usually focuses on feel-good stories about her family life, or those of ordinary Angelenos trying to make it in this megalopolis we call home. This time, though, it was all about her anger and frustration over the road diet that cut Wilbur from four through lanes to two, making room for a center turn lane with bike lanes on either side. For years, Wilbur Avenue had been a free-flowing community secret, a commuter street that bypassed the congestion of Northridge’s main routes. Then a “street improvement” project last month turned our speedway into a parking lot. It wouldn’t have taken much research to reveal that her speedway was never intended as a bypass to the Valley’s more crowded boulevards, as drivers turned what should have been a quiet, safe residential street into a cut-through throughway that only benefitted the people who don’t live there. The road diet merely returned a little sanity to a single local street. And if that slightly inconveniences the people who don’t live on it, it’s a small price to pay to preserve the livability of the neighborhood. Despite denials from the people who should actually know, she also suggests that the mayor’s recent Road to Damascus conversion to bike advocate may have had something to do with the sudden, unannounced striping of bike lanes — forgetting that we live in a dysfunctional city where bureaucrats seldom speak to one another, let alone the public. And even though she notes herself that bike lanes have been slated for that street since 1996. Then again, she’s probably not the only one who was shocked that something from the ’96 bike plan actually made it onto the streets. Despite talking to LADOT’s John Fisher and Bikeways Coordinator Michelle Mowery, she fails to mention that the actual purpose of the road diet was to slow high-speed drivers like herself and return a little sanity to Wilbur Avenue. Or that the bike lanes were added almost as an afterthought because there was finally room for them. Instead, she based her entire column on the mistaken concept that her inconvenience was due to the city giving cyclists priority over drivers. Like that would ever happened here. Needless to say, she had 12th District City Councilmember Grieg Smith, who never met a speed limit he didn’t want to raise, firmly in her corner. Maybe he really was blindsided by the unannounced road diet. On the other hand, you’d think a council member would be able to pick up the phone and find out what’s going on in his own district. Instead, he responded in typical knee-jerk, car-centric, anti-bike fashion, saying that the 98% of the public who drives shouldn’t be inconvenienced for the 2% on two wheels. Never mind that many of us do both. And a lot more might if they felt safer on the streets of the council member’s own district. 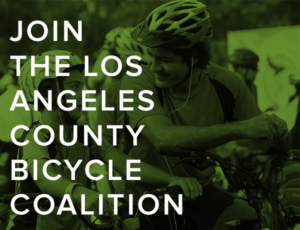 In fact, the city’s new bike plan suggests that up to half of L.A. adults ride a bike from time to time, and roughly 12% ride on at least a monthly basis. Smith should also know, as the mayor and many of his peers on the City Council seem to have figured out, that this city can no longer afford the same failed focus on automotive throughput that has destroyed the livability of many parts of our city. By focusing all our efforts on moving more and more cars through our streets, we have created gridlocked streets, destroyed our air quality and blighted countless pass-through neighborhoods. On the other hand, by providing effective alternatives to driving — like well-designed bike lanes, for instance — we can create a safer, more walkable, ridable and livable Los Angeles that will improve the quality of life for everyone. What we need to do is increase our 1% share of bike commuters on the street to the nearly 6% in Portland — or even the 3% currently enjoyed by San Francisco — rather than mercilessly drive them off the streets as Smith would do. And make it safer and more convenient for people to leave their cars at home for short errands around their own neighborhood, which currently account for nearly half of all car trips. Then everyone would benefit from the reduced congestion. Even drivers like Banks who feel hopelessly inconvenienced by the first baby steps to get there. Damien Newton looks at the Wilbur Ave controversy, and embeds a report from KNBC-TV 4. Reports indicate that last night’s Northridge West Neighborhood Council meeting did not go well for the cyclists in attendance. Word is that drivers are on the offensive, and ready to steamroll cyclists and local residents to regain their high-speed Wilbur Avenue throughway. Although how effective it would be now that they’ve told everyone about their secret speedway is another matter. Frequent Kiwi contributor the Trickster forwards a link to a fascinating Aussie study of the role of traffic violations in collisions reported to the police. 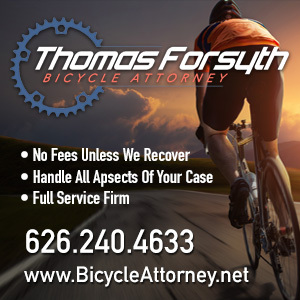 In over 6,000 crashes between bikes and motor vehicles, the cyclist was found at fault in 44% of the time, while cyclists were held at fault in 66% of crashes between bikes and pedestrians. However, you may want to note that the results are based on police reports, without independent analysis of their investigations. He also forwards a report on a study of cycling injuries in Australia that suggests efforts to improve road safety for drivers have done little to improve safety for cyclists, and that cyclists are over-represented in their share of traffic injuries and under-represented in efforts to prevent them. Still more cicLAvia news, with photos from This Girls’s Bike, a report of Grist and an out of town visitor’s view of our fair city, Metro and a car-free Sunday from Plan Bike. 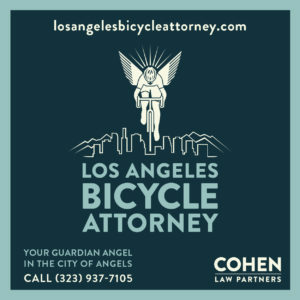 Meanwhile CicLAvia wants your ideas for the next one. The Source offers an update on Metro’s bike efforts. New bike racks at the CARECEN day labor center in MacArthur Park. Photo’s from San Diego’s Tour de Fat, which will be hitting L.A. on the 23rd. It’s back to Vegas after all for Interbike. Portland looks beyond cyclists to promote biking as an everyday means of transportation. 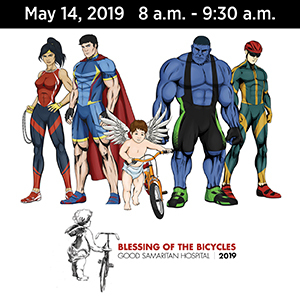 Cycleliscious updates the Black Hawk bike ban, along with new rules for large rides in lieu of the proposed ban in St. Charles County MO. St. Louis blocks many streets already, so why not let bikes through? Crain’s New York Business asks if the city should give up on Manhattan bike lanes; so far, the vote is running 9 to 1 in favor of keeping them. It’s fall back in the midlands. After killing a cyclist, a London dump truck driver is fined £165 and forced to get new glasses. Finally, Hermosa Beach officials want your input regarding the sharrows on Hermosa Avenue; if you’ve ridden them, you know how effective they are; if not, they’re the gold standard for what SoCal sharrows can and should be. We see this everywhere when city’s try to grow away from car dependence. The dependent flip out. Hopefully Don and Ayla can keep the Ayla residents armed to defend their streets. I am more for slower and enforced speed limits than bike lanes. It does make me laugh at these people complaining about the bike lanes when they are the ones constantly telling us to ride in bike lanes. I was riding in my sisters auto Saturday on foothill blvd. The curb lane is very wide there and I always see several people on bicycles. She passed and got passed by some kid on an old Schwinn Le Tour with the 27″ wheels several times in a 2 to 3 mile distance. I would guess the rider wasn’t going over 15mph average. She complained about this and I laughed at her. I was disgusted, just utterly disgusted, with that Times article and all the anti-bike comments that went along with it. It really boggles my mind that people are defending and shouting about their precious speedway that lies in a NEIGHBORHOOD, not a freeway or even a main city street. It just goes to show the craziness that is the LA car mentality. People are actually applauding and pushing to get back their speed limit breaking days. That’s like a thief complaining that the locks on your home making it so much slower and inconvenient to break in and steal your stuff. Damn those home safety advocates! Crazy stuff, huh? If they get rid of the bike lanes, then by golly I want to see them put speed bumps in and let cops have a crazy time ticketing people. Well, it’s politics, isn’t it? Should two-wheeled travel win over an increasing share of the public, Smith and any other Council rep will come around. In typical fashion it won’t be ‘see the light’ but rather a nuanced pivot. Nevermind the wreckage left in the wake of the slow awakening. But change need not be so slow in the coming. City Council offices are won with less than ten thousand votes on average. Stephen Box likely saw that low-hanging fruit, and bike activists everywhere will benefit from mulling those easy odds too if we want change sooner, rather than later. looks like a person can change their mind..